If you are looking for state of the art amenities, as well as the charm and hospitality of an authentic southern small town, the City of Perry is your destination of choice. 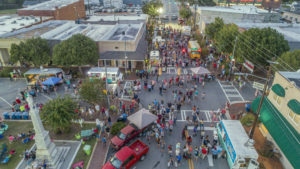 The Historic downtown is home to unique shopping and local-grown restaurants and conveniently serves the classic Georgia hospitality you seek, so your experiences are more personal and you feel enriched. Perry is home to the annual Georgia National Fair, Georgia National Rodeo, Food Truck Fridays, as well as other fun festivals and events year round. The city of Perry, known as “Where Georgia Comes Together”, is located in the heart of Georgia at the intersection of Interstate 75, Georgia Highways 341 and 41. It has Modern amenities, including hotels and restaurants, abound along the I-75 corridor, yet only a few blocks off the interstate lies a charming downtown district with streets lined with boutiques and unique dining. It has state of the art multi-purpose facilities and its central location is perfect for exciting day trips around the region. Georgia National Fairgrounds and Agricenter – The idea for the Georgia National Fairgrounds & Agricenter came about after visiting the Junior Hog Market Show in Macon in 1983. Representative Larry Walker felt the agricultural youth of Georgia deserved better facilities to show their livestock projects. Historical Downtown Perry – Perry has long been known for its charming little downtown, stately structures and Southern hospitality. Go Fish Education Center – The Go Fish Education Center operated by the Georgia Department of Natural Resources, Wildlife Resources Division and is core to the Go Fish Georgia Initiative. 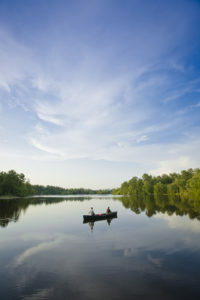 Flat Creek Public Fishing Area – Flat Creek Public Fishing Area features 108-acre Lonice C. Barrett lake and multiple spots for anglers to cast their lines. Perry Area Historical Museum – Perry Area Historical Society’s Historical Museum offers a collection of artifacts and memorabilia from Perry’s earliest days. We have a variety of venue spaces that can accommodate anywhere from groups of twenty up into the thousands. Our venues spaces range in a variety of square feet with the largest space being 40,000 square feet. -Learn about Georgia’s eco-system at the Go Fish Education Center. Did you know fishermen in the State of Georgia spend $1.3 billion in direct dollars annually on fishing? -Incorporated in 1824, Perry received its name from Commodore Oliver Hazard Perry for his triumph at Lake Erie in the War of 1812. -Located in Perry, the Georgia National Fairgrounds and Agricenter is a state-owned, multipurpose 1,100+-acre rental complex which is open year-round and specially designed for conferences, livestock and horse shows, concerts, rodeos, RV rallies and trade shows.